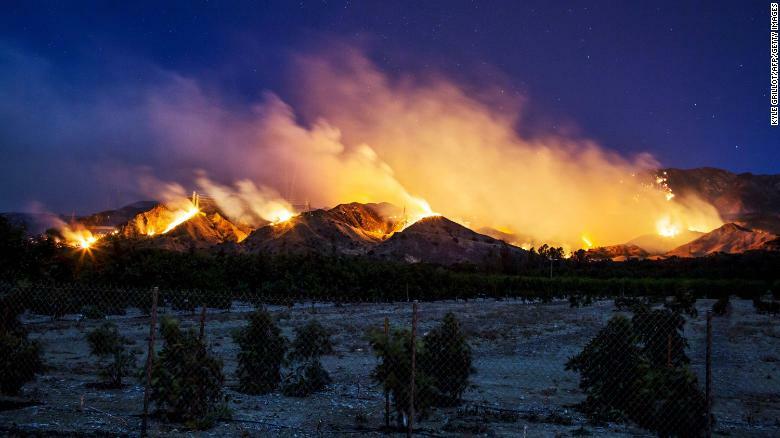 TEHRAN, December 11 - Firefighters are struggling to contain the biggest of six blazes burning in southern California, with the Thomas Fire slipping from 15% containment to 10% Sunday. TEHRAN, Young Journalists Club (YJC) - Covering 230,000 acres, the Thomas Fire is now the fifth largest blaze in modern California history. The fires are collectively burning an area larger than New York City and Boston combined. Gusty winds and dry conditions are not helping the wildfire's spread, and there's no rain in the forecast for at least 10 days. Elevated conditions: The Santa Ana winds are forecast to decrease heading into Tuesday, but could gust between 40-55 mph on Monday before tapering, CNN meteorologist Rachel Aissen says. Ventura County and surrounding areas are under an elevated fire outlook, with temperatures remaining between 78-82 degrees as humidity continues to fall in a range below 10%. Warnings: A Red Flag Warning for much of Los Angeles and Ventura counties has been extended through Monday evening, the National Weather Service said. It means that elevated fire weather conditions are expected due to a combination of gusty winds and low humidity. Power cuts: The Thomas Fire is causing intermittent electricity outages in Santa Barbara County. Southern California Edison said that outages and surges could potentially affect up to 85,000 customers, with 2,432 customers without power at 9 p.m. PST Sunday (midnight ET). 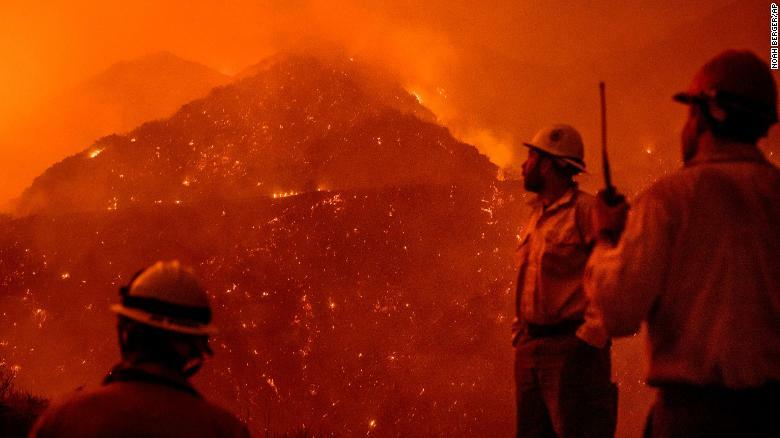 Evacuations: Some 94,607 people were under mandatory evacuation orders in Ventura and Santa Barbara counties Sunday evening, Ventura County Sheriff Captain Garo Kuredjian told CNN. School closures: The Santa Barbara City Office of Emergency Services said in a tweet that 19 of its 20 school districts would be closed Monday and that all South County School Districts would remain closed through the end of the week. Death toll: The death toll from the Thomas Fire stands at one. Authorities believe Virginia Pesola, 70, of Santa Paula, died in a crash while fleeing the fire, her body was found Wednesday. Firefighters monitor the Thomas fire as it burns through Los Padres National Forest.